Located in Como, Italy, this Civic Center capitalizes on two latent conditions of the Casa del Fascio – the implied tower at the corner, and the presence of the void at the center. We began by creating two series of diagrams – one which places the Casa del Fascio at the corner of nine square grid, and one which places it at the center of a nine square grid. 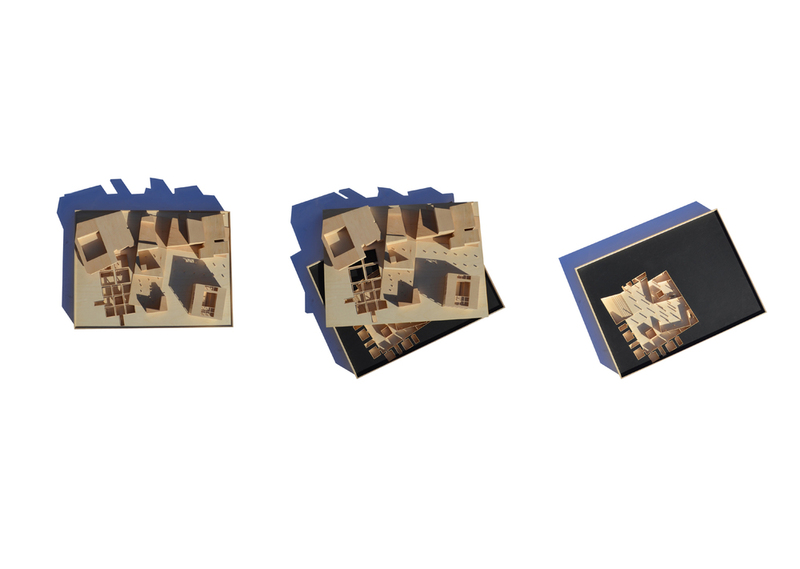 The overlap and subsequent mirroring of these two series of diagrams resulted in a final diagram from which we created an architectural narrative with three spatial conditions – the subterranean void, the plaza level at grade and the building mass. 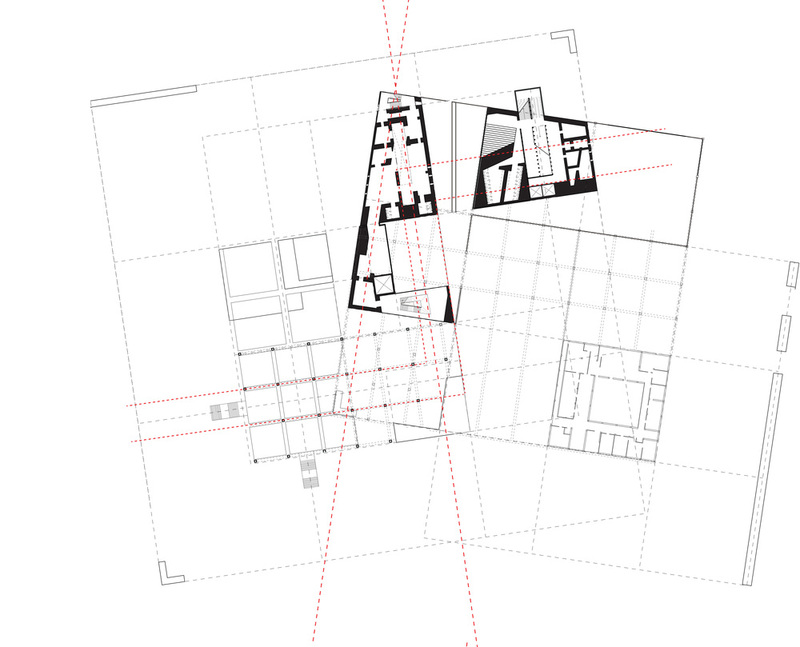 The inherent dialogue that each spatial condition creates with the Casa del Fascio both frames and rejects it as the subject. For instance, the subterranean void occupies the true mirror site opposite the axis of the Duomo and has visual likeness to the Casa del Fascio. However the reflection exists underground – as to make a statement outside of being simply a mirror of the Casa del Fascio. The plaza level at grade establishes a new relationship between the Duomo and the Casa del Fascio - Church and State. Additionally, the ground plane mediates between the realms of the real and imaginary - void and solid. And finally, the heaviness of our building mass derives from characteristics of the absent tower of the Casa del Fascio as well as the poche of the Duomo. While this is in juxtaposition of the Casa del Fascio’s lightness, the fact that the our buildings occupy the corner of a nine square means that our building also frames the Casa del Fascio as an object. 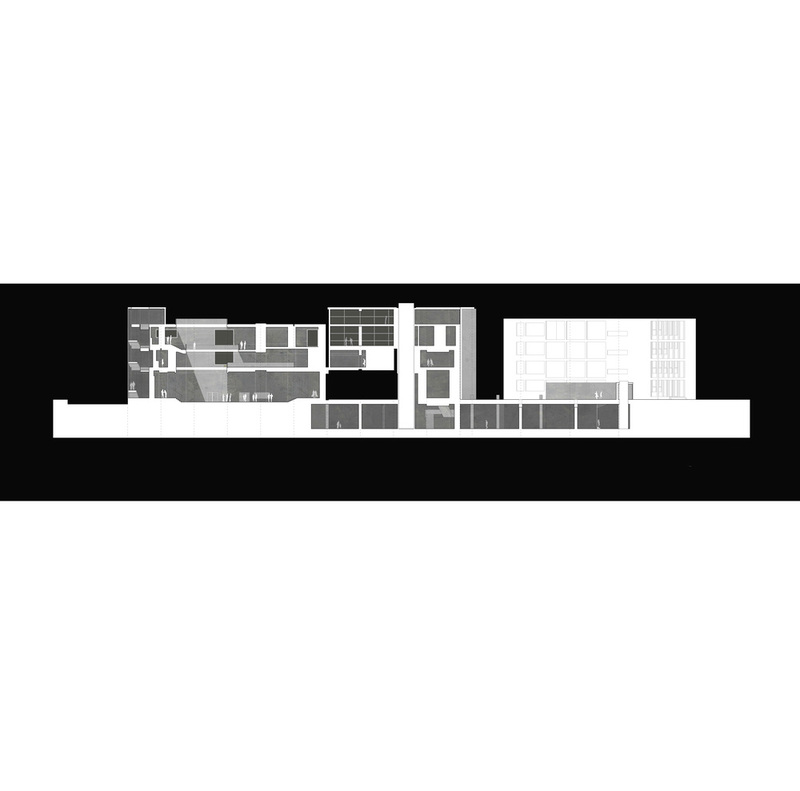 Our project is about the psychological and philosophical spaces between the Casa del Fascio and the mirror site, and occupies the physical space between. The project articulates the impossibility of true symmetry as an architectural foundation and the fallacy of Jacques Lacan’s “fullness of subject” in his text, The Mirror Stage.